The actor recalls his joy when Mammootty invited him to the dais and talks about his new projects. It’s a special year for Anson Paul. His Christmas release Aadu 2, in which he plays the villainous Anali Sabu, is running to packed houses. Kala Viplavam Pranayam that will see him as a guy-next-door is gearing up for release and his Tamil rom-com with Oviya is nearing completion. But the best of all is Abrahaminte Santhathikal, in which he acts as megastar Mammootty’s brother. Letting out an excited laugh, Anson says, “It was on New Year’s day that I met Mammookka for the first time. During the audio launch, when he called me on to the dais, it was my fanboy moment. The goosebumps lasted the whole day! For a person who grew up watching his movies and admiring his charisma, it was the best gift in the universe.” Only later did he know that it was Mammootty who suggested him for the role of his brother. The movie has Maria John playing Anson’s love interest. Going by his makeover, Anson is no longer the sophisticated, charming guy we are used to. Sporting long hair and rugged beard, he was unrecognisable in Aadu 2. In Kala… too, he maintains the hair and beard. “But both characters are poles apart. Anali Sabu is a ruthless ruffian whereas in Kala…, I play a village simpleton for the first time. As the name suggests, there is art, politics and romance. It’s a light-hearted movie about a middle class guy,” he says. The movie has him romancing Gayathri Suresh. When actor-producer Vijay Babu offered him Anali Sabu, Anson didn’t have to think twice. His penchant for perfection is evident from how he insisted on dubbing by sporting the costumes of Anali Sabu and chewing paan. 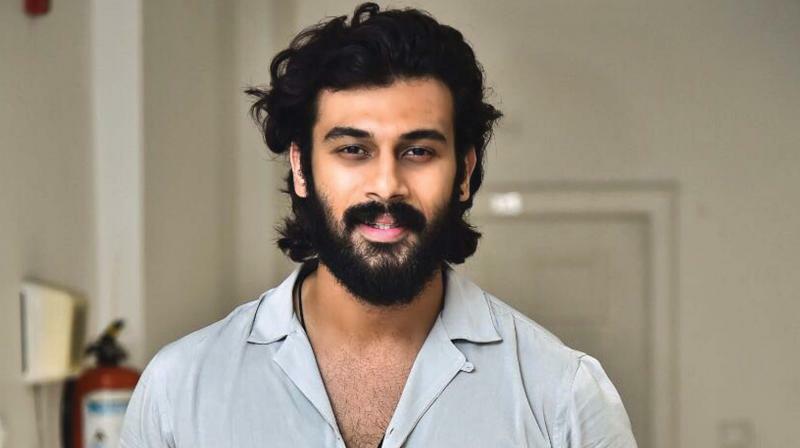 During the making of Solo, a jetlagged Anson hurriedly finished the dubbing in Malayalam and Tamil. But later, when he introspected and realised that he wasn’t ‘in character’, he requested a re-dub and went for it. “What’s the use if you can’t do justice to your character in all realms,” he asks. He won’t reveal much about his look or role. Hope there are more surprises in store.